The Textured Pebbles Washcloths is a free crochet pattern featuring a raised stitch pattern, and some cotton yarn. This post contains affiliate links for Consumer Crafts and LoveCrochet. If you make a purchase by clicking on them, I make a small commission at no extra cost to you. Thanks for your support! This pattern was initially designed for The Stitchin’ Mommy, and first appeared there as a contributor post in June 2016. I just love the texture of this stitch pattern that I once discovered in a dress many moons ago. How about some matching facial scrubbies to complete your set? 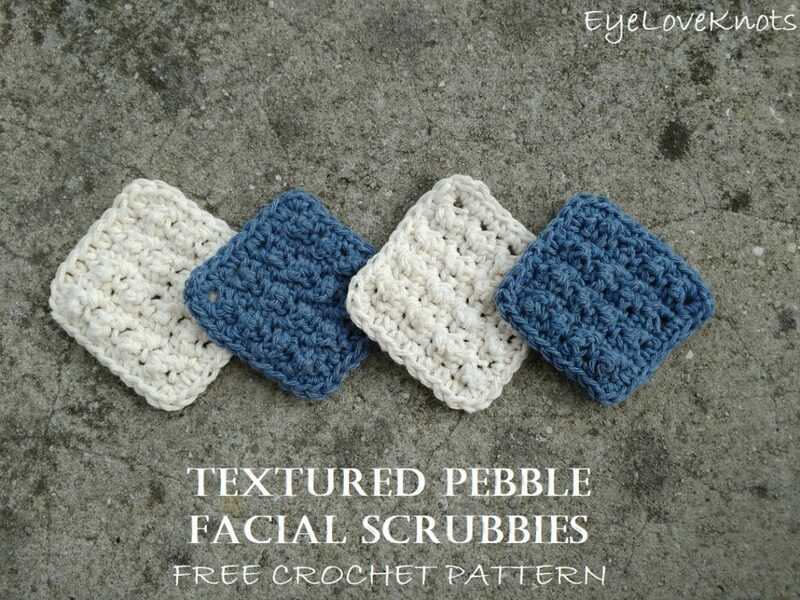 Check out the Textured Pebble Facial Scrubbies Free Crochet Pattern. If you would like a PDF version of this post, you may get one through either my EyeLoveKnots Etsy Shop, Ravelry or LoveCrochet Shop for a small fee. This fee is to compensate for the views lost when you no longer need to return to the blog to for the information, as you will have your own copy. Plus! It helps fund supplies for new projects to share with you! Are you a Raveler? 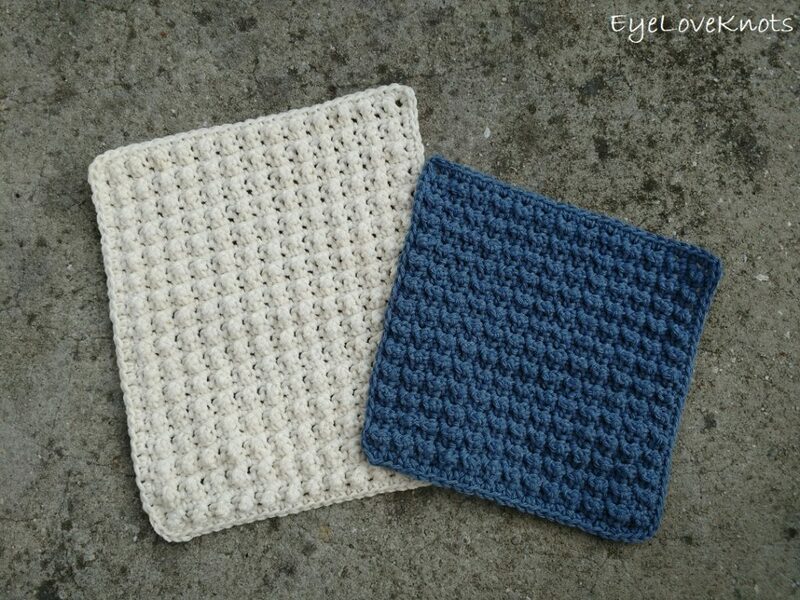 Share your version of this project on Ravelry – Textured Pebble Washcloths. Yarn Alternatives: Bernat’s Handicrafter, Hobby Lobby’s Crafters Secret Cotton. I do not recommend Hobby Lobby’s I Love This Cotton as it isn’t as durable. I worked up each washcloth in under an hour. Beginning chain one does not count as a stitch in final count. The small size instructions are shown, with the large size instructions in parenthesis. R4 – 25 (31): Repeat Rows 2 and 3, ending with a Row 3. Please feel free to make and sell your own Textured Pebble Washcloths using this pattern, but please DO NOT claim this pattern as your own nor should you sell my pattern, and DO NOT re-publish my photos as your own. DO NOT copy and paste my pattern anywhere, link to it instead. So pretty! Thank you for sharing the pattern at The Really Crafty Link Party. Pinned. What great texture, I love the idea of the matching little scrubbies too.